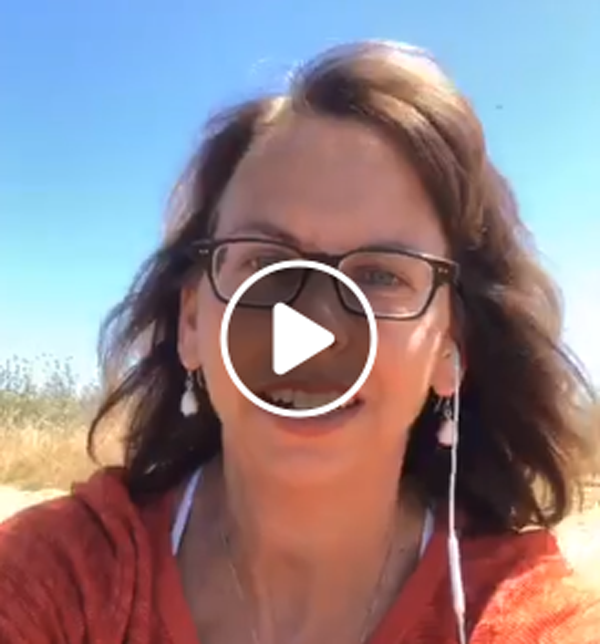 This episode introduction comes to you from my hotel balcony in San Miguel de Allende Mexico, where Chris and I are celebrating our 21st anniversary and our children are on a special trip with their grandparents. To make space for vacation, I decided to re-release two episodes and take a break from recording. Next week, at the one year mark of the Charlottesville Rally, I’ll share again my original conversation with Resistance Live’s Elizabeth Cronise McLaughlin along with a new introduction where I share what I’ve learned since answering the call to fight against police brutality. Please stay tuned for that episode and see the link in the show notes for how you can help this cause right now. 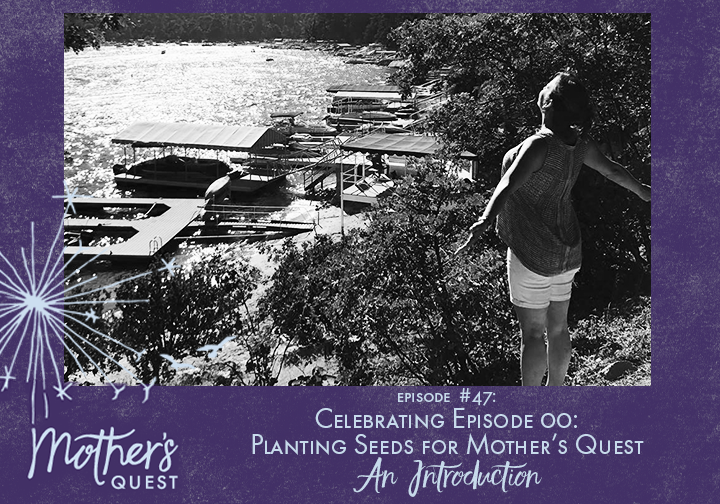 For this week, when I thought about the first episode from past seasons I’d like to share again, the first introductory episode 00, titled “Planting the Seeds for Mother’s Quest,” came immediately to mind. 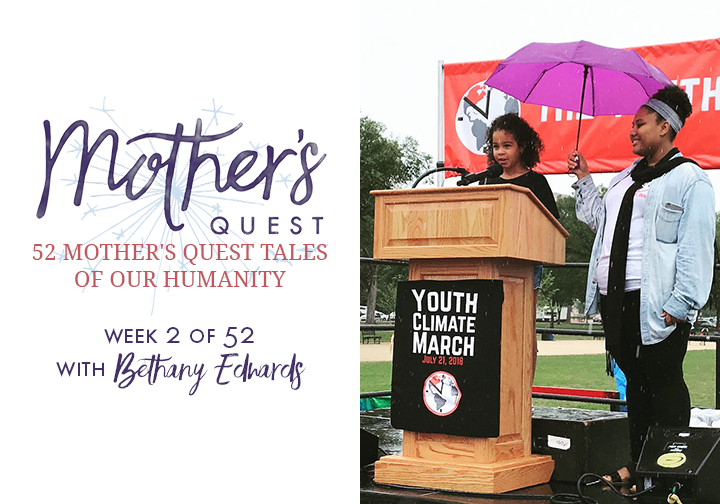 It seemed right to revisit this episode, because this summer has been a time of reflecting on milestones, in my own personal development and learning, with my children, and in the development of Mother’s Quest since that first recording. In the last few months, I spoke about my journey on a panel at a conference for the first time, the podcast hit a big milestone, reaching over 20,000 downloads, with over 45 episodes, in 30 countries, with 7 podcast platforms, our Facebook group passed 500 members, and I stepped into new territory advocating for police accountability bills in the state of California. I completed the first virtual Mother’s Quest Circle pilot and the first Spark Your E.P.I.C. life one-on-one program and launched a new blog series called “Tales of our Humanity.” My children have experienced tremendous growth too, one graduating from preschool and the other middle school, and each taking on new adventures that have stretched them in different ways. Seeds I planted when I recorded this episode have taken root in amazing ways. And, at the same time, the original intention to use my voice, to create space for powerful conversation, to build community and to grow in a reciprocal relationship with my children have stayed constant. I’m appreciating the power of marking a new beginning, enjoying the journey, staying true to a vision, and allowing the original seeds of intent to flourish. 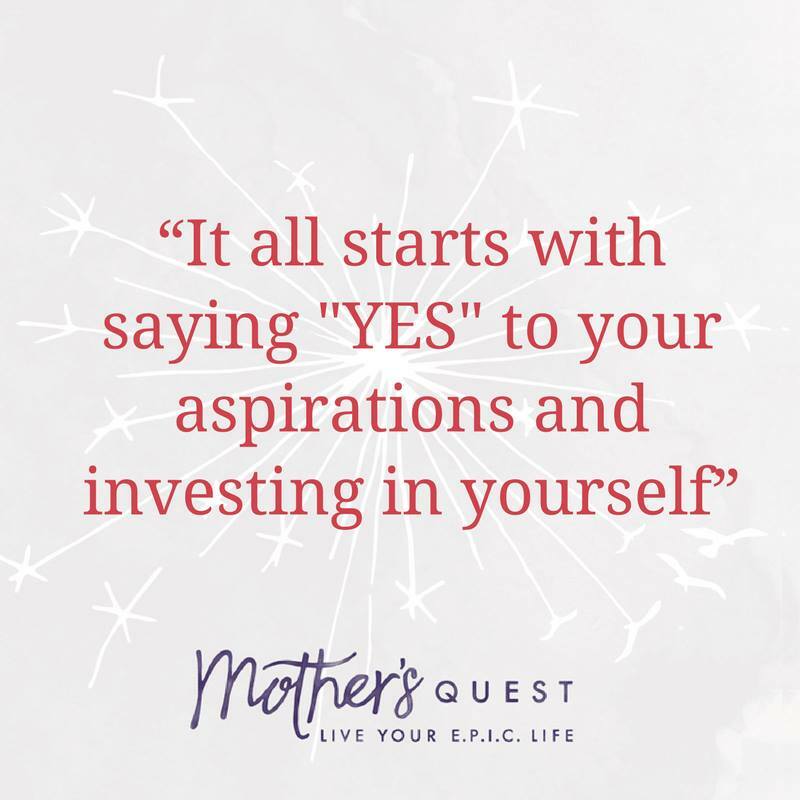 I hope in listening to this episode again, or perhaps discovering it for the first time, you’ll feel grounded in the original messages of Mother’s Quest and also inspired by what has been possible since….so you can plant some new seeds of your own and trust that they too will grow. This episode is re-dedicated to my friend Leslie Fischer, who passed away two years ago this month. The Mother’s Quest mantra at the end of every episode was inspired by the way that Leslie lived her life. Thinking of Leslie and her family this month. Welcome to this introductory episode of the Mother’s Quest podcast. This solocast will give you a preview of what to expect in this twelve week season and reveal the stories behind Mother’s Quest E.P.I.C. framework, the podcast logo and the mantra that closes each show. This solocast, and the podcast that it officially kicks off, is a birthday present to myself. This milestone birthday, on December 1st, 2016, and the reflective and transformative experiences in the months preceding it, inspired me to start my quest and this podcast. For the first time in my life, I have the desire to create and share publicly something deeply personal; to use and share my voice; to commit to something I am calling my E.P.I.C. 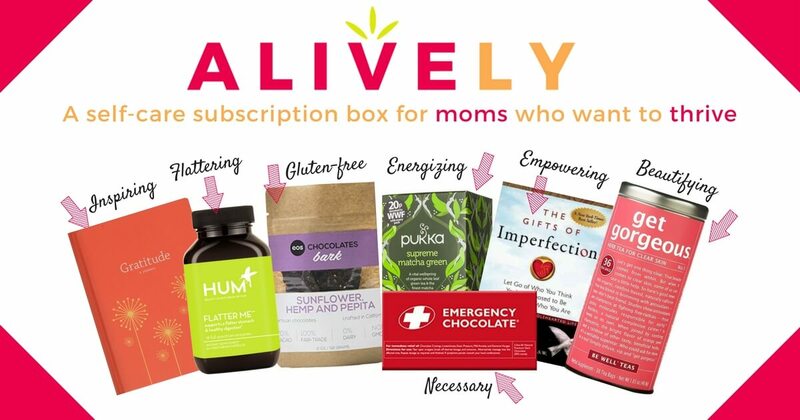 life; and to build a community to support me and other mothers along the way. In the episodes that will follow, I interview other mothers to learn their words of wisdom. But this episode is an opportunity for me to use my own voice and share some lessons I’ve learned since the moment I decided to cross the threshold and begin living my E.P.I.C. life. The mission behind Mother’s Quest, and what it means to live an E.P.I.C. life. How two birds that got trapped inside my home became the metaphor that sparked my journey. Kids are always listening to what we say, to the “seeds” that we plant and nurture in them. And, we are in a reciprocal relationship with our children where we both learn and grow together. It’s the journey and not the destination that matters the most. 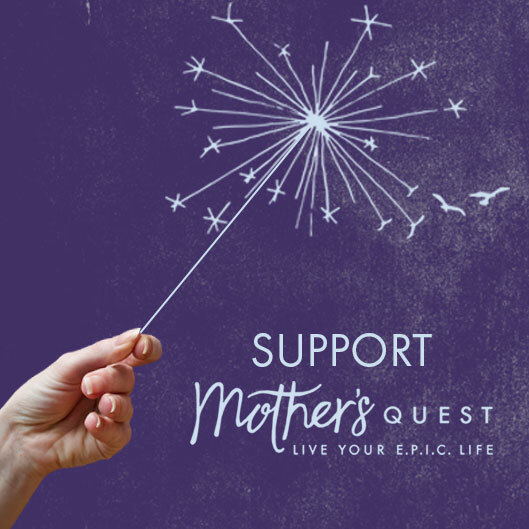 The first season of the Mother’s Quest podcast is dedicated to my friend Leslie Fischer, who passed away last summer from pancreatic cancer. 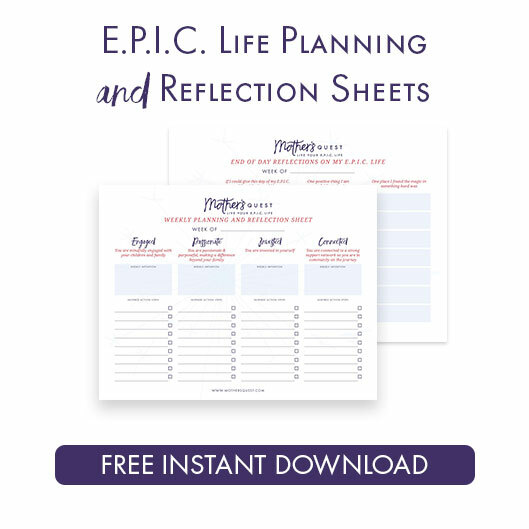 How the inspiration of her life crystallized a Mother’s Quest mantra that will close each episode. In CA, at the time of the release of this episode, lawmakers are about to deliberate on two key police accountability bills, SB-1421 and AB-931. 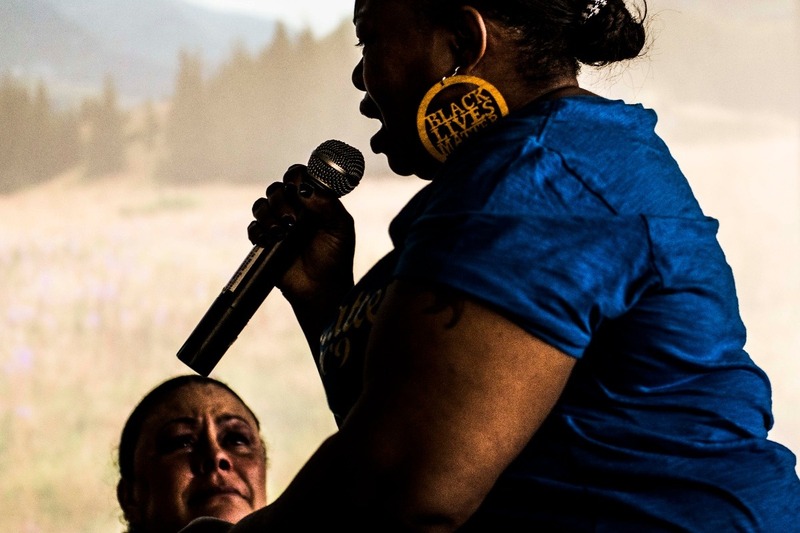 In advance of that deliberation, I’m working with Nikki Yeboah, the producer of a powerful play called (M)others, to bring forward the stories of those who’ve lost loved ones to police brutality to the lawmakers who will vote on this bill. We need your help to raise funds, to spread the word, and to call CA lawmakers, urge them to attend, and to vote yes on these bills. Visit gofundme.com/slash take-this-play-to-senate to learn more about this effort and how you can support. On the heels of attending Kate Schatz’ launch event for her new book “RAD GIRLS CAN,” and in the wake of the tragic loss of life and promise of Nia Simmons, I’m honored to share a series of stories about an incredible 7 year-old girl, Havana, written by her mother Bethany Edwards. Along with the support of her parents, Havana is already proving there are so many things she CAN do to make a difference, defying stereotypes based on the color of her skin and her age, at every turn. Here’s to Havana, here’s to her mother Bethany, here’s to our humanity. It’s a big milestone for the Mother’s Quest Podcast 20,000 downloads! Lessons from my father on seeking our fate. And join me in the first “Spark Your E.P.I.C. Life Pilot. Watch the video here.